In case you haven't already been told – you're not sleeping enough. And you're also not alone. If you happen to be one of the few to make it through a morning's work without reaching for a cup of coffee, there's a strong chance you're enlisting the help of something else to keep you energised and on track. And by the time the day draws to a close, your body clock is rarely prepared for rest. It's likely you've been punishing your eyes with the bright light of a TV or a smartphone, and before you know it you're asking Google for tips on how to fall asleep – you don't know whether the problem is just poor habits and routine or something deeper, and potentially more serious. But looking to help solve this kind of typical nighttime trouble is startup Pegasi, whose second generation, $109 Smart Sleep Glasses are currently live on Kickstarter ahead of a projected launch in August. By using light therapy treatment techniques, the smartglasses (of sorts) are able to help regulate user's sleep and offer an alternative to the likes of sleeping pills, caffeine and other common aids we use to keep our bodies in check. "For people who have serious sleeping problems, they would usually take a pill before they sleep," says Pegasi's Minming Gu. "And these contain melatonin because it's the key agent which controls your sleep. Pegasi really acts in a very similar, simple way, but we see it as a friendlier alternative. "By using a green light to stimulate the nervous system and regulate the level of melatonin the body produces during the day, it vastly improves how much is produced during the night, and this therefore is able to help how quickly people fall asleep and their overall sleeping pattern." According to Pegasi, it takes just a week of using the device for 30 minutes each day in order to notice an uptick in sleep quality. Users simply need to put the glasses on – between 7am and 9am, in order to regulate the body most effectively – press the button on the right side and keep them on for the full half an hour (or for 20 minutes, with a stronger light; or for 40 minutes, with a weaker light). Once it's over, the device will automatically shut down and the user is free to carry on with their day as normal. Wearers also have the option to link up and track their sleep using the companion app, though this is a wearable that doesn't rely on the tether of a smartphone in order to function, since its sole function is to emit light and help balance hormones. As long as the Smart Sleep Glasses are charged (Pegasi says the standby battery life sits at roughly three months), users are good to go. It's all a very straightforward equation, and Gu insists that although light therapy is nothing new when it comes to tackling serious sleep issues, it is an effective solution when compared to others. "This isn't a new science or a new technology, but trying to tackle serious sleep conditions, such as insomnia, can be effective using light therapy. People should always go to the doctor first if they suspect they do have something, but Pegasi has already shown it can help people with all sorts of different sleep issues," she said. That help provided to sleep sufferers hasn't just been backed up by users of the two-year-old first generation of the device. A clinical trial at the First Hospital of Hebei Medical University also showed the effectiveness of the technology. In a test comparing two groups, the average time taken to fall asleep was 37% shorter in a group using Pegasi's Smart Sleep Glasses than a group without. 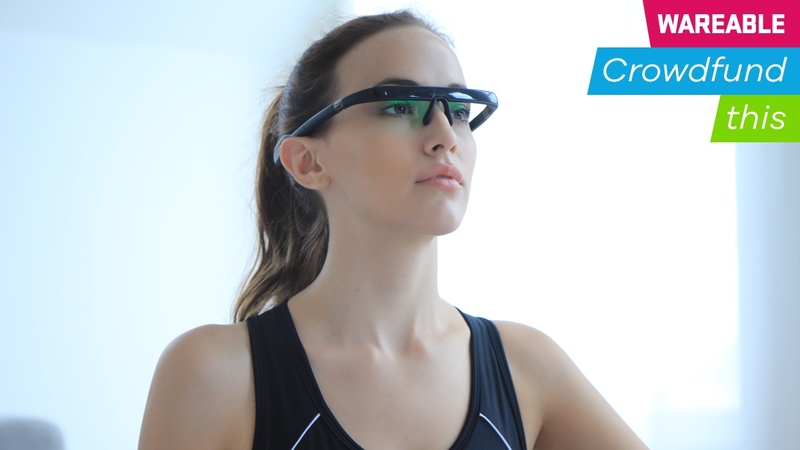 It's fair to say that Pegasi's Smart Sleep Glasses II aren't the most complex wearable we've every come across in the crowdfunding space, but the concept is simple, and some of the most effective devices out there have a singular functionality that just, well, works. Gu tells us the company has already begun mass production ahead of the impending August shipping to backers, and with experience in producing the hardware before and no software challenges to resolve, Pegasi may be on the road to helping the world get to sleep more effectively. From the success it's already built up through the first generation, something which has led to the refined design and global rollout of the second generation, as well as the testing it has undergone, this would appear to be a solution to sleep woes that warrants a deeper look.